Christian Hertlein is a head of design at N26, the mobile bank startup with over 1 million customers across 17 European markets. A year ago, Christian took over a team of designers in super fast growing startup and started integrating design across different departments and promoting design as an important part of the culture. and what are design consultants naive about when they work with clients. 1:40 How did Christian get into design? 6:05 What are consultants naive about when working with clients? 14:15 What are the responsibilities of a head of design? 16:45 Why is investing in design research important? 27:40 How is design team structured at N26? 34:25 What KPIs does the design team use at N26? Jules Ehrhardt is the founder of FKTRY, a creative capital studio aimed at revolutionising how creatives get paid. Jules was previously an owner of USTWO, the pioneer studio that kicked off the digital product studio trend. Jules left USTWO couple of years ago to focus on building one of the first creative capital studios and to create an example of a new business model for creatives, which he laid out in his seminal pieces called State of the Digital Nation 2020 (and 2018). In the episode, we discussed: if the design agency model is doomed, how creatives will get paid in the future, and how the lack of economic literacy blocks creatives from achieving their full potential. Tulio Jarocki is a product designer at Blinkist, a subscription service that summarizes non-fiction books so they can be consumed in just 15 minutes. The company has over 2500 books in its database, more than 6 million customers, and it has raised over $35 million. In the episode, we spoke about: the checklist design process that product designers use at Blinkist, how designers at Blinkist use data in their design process (and where they get it from), and differences between USA and Europe in design maturity. 23- Tulio Jarocki @Blinkist - Can design process be distilled into a checklist? Mackey Saturday is a world-renown graphic designer who created visual identities for some of the most famous brands of our time: Instagram, Oculus, Luxe and recently also Unsplash. He is currently running a brand agency based in New York City. In this podcast we talked about: his early beginnings and how he learned to sell his services, how we can avoid taste based discussions with clients, when a brand redesign is a good idea and when it is not, and why do business even invest in logos? Dave is a co-founder and Partner at Play Bigger Advisors, a consulting firm that coined the term category design and is advising companies on how to create and own new categories of products. They recently also published a book also called Play Bigger where they explain the category design process in detail. In this episode we spoke about: what is a category and category design, why do category kings capture more than 70% of economic benefits in an industry, and how did companies such as Salesforce, Tesla, and Qualtrics become category kings? The second episode of Business Design Jam was all over the place. But in a good way. With Jonathan, founder of AJ&Smart and co-host of an awesome podcast Product Breakfast Club, we spoke about business models and concepts relevant for designers. We talked about Tesla, PewDiePie, Microsoft' Xbox and a lot about AJ&Smart’s products and journey. Among other things, Jonathan told us how he nearly bankrupted the agency and how he solved it. Business Design Jam (BDJ) is a new format of Beyond Users podcast. It’s a discussion with a fellow business designer about inspiring business design examples and the learnings we can take from them. In the first BDJ, I am joined by David Schmidt, a fellow business designer in Berlin, working as a business design partner at United Peers. Each of us prepared three examples. After a short introduction, we went into details of these case studies and looked for key learnings that we can take away for our projects. 00:50 Company Builders (e.g. FinLeap) - Companies that create startups. We focused on company builders that help big corporates create startups. 6:30 VanMoof+ - The Dutch bike manufacturer that changed its business model and started selling subscriptions for their bikes (instead of selling them). 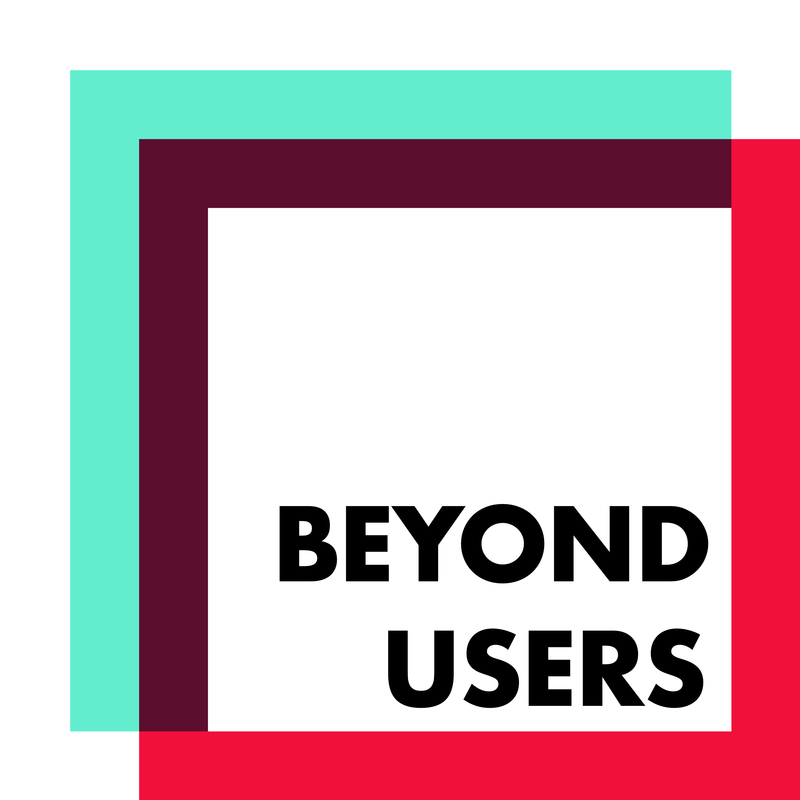 VanMoof was discussed in the 12th episode of Beyond Users podcast. 14:15 - WeChat - A successful example of a platform business model. Even though WeChat is a messaging app, users can use it to pay its utility bills, order a pizza, send gifts to friends etc. The platform is open for 3rd party developers who create apps for WeChat and enable new functions. 22:20 Light Phone - A phone that is designed to do as little as possible. A good example of a blue ocean strategy, which combines low-cost and differentiation. 29:35 - Sandeman Tour Company - Company offering free walking tours in major European cities. Sandeman works with self-employed tours who are paid with tips. It is an interesting example of a franchise model. 36:50 - Warby Parker & Ace and Tate - Understanding industry forces (eyewear industry is dominated by Luxottica) can help us reimagine the product and traditional business model. Warby Parker revolutionized the industry by vertically integrating and offering glasses for $100 (usually $300+). 16- Raffaela Rein @CareerFoundry - How to convince your boss to invest in design? 15- Amy Bonsall @IDEO - What is venture design? Taig Mac Carthy is a graphic designer who decided to become an entrepreneur to realize his creative vision. As many designers, he wasn't fond of business but changed his mind once he started to get more into entrepreneurship. After reading the Blue Ocean Strategy, he came up with the idea for blue wine GIK and Hola Plate, which are today very successful products. In the episode we covered: why is Taig focusing on providing meaning instead of solutions, how to test your product idea with a press release, and why did Taig decide to attend a business school. Show notes: 2:35 How did Taig start his first business 5:10 How Taig developed a distaste for business and how he turned that around 6:35 Why is Taig focusing on providing meaning instead of solutions 13:35 Entrepreneur as a cultural provocateur 15:15 Where does the idea for blue wine come from? 16:35 The pricing exercise from the book Blue Ocean Strategy 20:40 The pricing strategy of GIK 23:20 How did Taig validate the idea before spending two years developing the wine 29:10 How did Taig test his 20 business ideas 31:30 The launch of Hola Plate with the PR strategy 34:15 How to test your product idea with a press release? 39:30 The importance of profit margins 42:35 Challenges that designers face when trying to become entrepreneurs 44:30 Why did Taig decide to attend a business school 48:35 How does blue wine sustain competitive advantage? François is senior product designer at Headspace. In 2017 he was asked to design a new cancellation process for Headspace users who decided they no longer want to use the service. At first, François thought this will be a boring task but it quickly turned into his pet project. In the end, he published an article on Medium, describing his process and providing guidance to other designers who want to design cancellation process too. In this a great example of a project that needs a careful balance of user focus and business knowledge because one needs to balance users' wish to unsubscribe and business' goal to retain users. How do you reconcile the two? Well, that's what we covered with frank. Show notes: 1:50 How did François get into design? 6:50 How did François survive the financial crisis as a designer freelancer? 8:30 Why did François leave agency work and join Headspace? 12:40 Headspace reached 1 million subscribers 14:10 The premise of François' article on cancelation process 20:10 How did François approach the challenge of designing cancelation process 25:30 Design principles of a good cancellation experience 29:00 Does being user-centered in a cancellation process drive business results? 34:00 The value of talking to non-designers in your organization 35:25 Hacking Growth book 38:40 Growth tactics used at Headspace 41:45 What is the Headspace culture really like? Ben Burns is an award-winning designer, a digital director at Blind, brand strategy design consultancy, and COO at The Futur (business education for designers). Ben has a fascinating story that took him from charging 50$ a logo to 100$ an hour and that ultimately changed his career. In the episode, we talked about topics related to running a creative business such as : why you should not look for more clients but better clients, what to say to your clients when you try to raise your rates, and how to sell brand work at the premium rates (5 or 6 figures). Kate Rutter is an adjunct professor at California College of the Arts. She is a phenomenal UX designer with a strong background in arts and painting, so she sometimes refers to herself as a sketchnoter and graphic recorder. But she also combines her visual skills with data and metrics, particularly in her design process. In the episode we spoke about: why it makes sense to measure design, how to find a design metric for your project, and how you connect a design metric to business value. Steve Vassallo is a general partner at Foundation Capital (VC firm that invested in Pocket, Netflix, Uber etc.). Prior to that, he worked as a lead designer at IDEO where he worked on a famous Cisco's 7900 series VoIP phone. He recently published a book "The Way to Design", which helps designers become entrepreneurs and entrepreneurs adopt best design practices. You can read the book for free online. In the episode we talked about: why will the 21st century be the decade of design, why empathy has become a buzzword and what empathy really is, common struggles of designers who want to become entrepreneurs. Sudy Majd is a customer experience research lead at Candid Co. In the fifth episode, I spoke with Bobby, a colleague of Sudy, and we talked a lot about the way they do user research at Candid Co so it only made sense to dive deeper into these topics with Sudy. She has a PhD specialized in consumer behavior and behavioral economics. In the episode we spoke about: doing proactive user research that anticipates rather than reacts to business challenges, how to mix qualitative and quantitative research methods, and how to find the right profiles for your research questions. Show notes: 1:50 What did Sudy do before joining Candid Co? 6:20 How does academia work translate into Sudy's work at Candid Co? 8:20 An example of behavioral economic applied to Candid Co 11:00 How to proactively create briefs for user research 15:10 Research methods that Sudy uses in her work 19:50 What is a suitable sample size for quantitative and qualitative research 22:05 How to phrase questions for interviews and questionnaires 26:50 How to find the right profiles for user research? 35:30 How to bundle different research questions in one study 37:20 How does Sudy synthesise learnings? 39:30 What are the common mistakes that beginners make? 42:10 Who is part of the research team at Candid Co? 43:20 What one thing about design that surprised Sudy in a positive and one in a negative way? Bobby Ghoshal is a co-host of a famous podcast High Resolution and a co-founder of a startup Candid Co. He has more than 15 years of experience in the design world and is a big proponent of bringing design closer to business. In this episode we spoke about: how to do user research that is rooted in business problems how to measure and present results of your design work, and how to hire and train a design team to become more business-savvy. Show notes: 3:55 How did Bobby get into design? 7:45 How 11-year old Bobby sold his art to parents 11:20 How Bobby's early sales experience translated into design 13:30 How to recognize if a designer is business-savvy? 16:40 How to train a designer to become more business-savvy? 21:30 How Bobby and his team does user research that is rooted in business challenges? 36:45 How does design team at Candid Co track and present results of design work? 41:15 Bobby's advice for designers who are just starting 46:25 What is one thing Bobby changed his mind about design after recording High Resolution?